White Lies & Black Truths - beLIEve | "Oh what a tangled web we weave when first we practice to deceive." 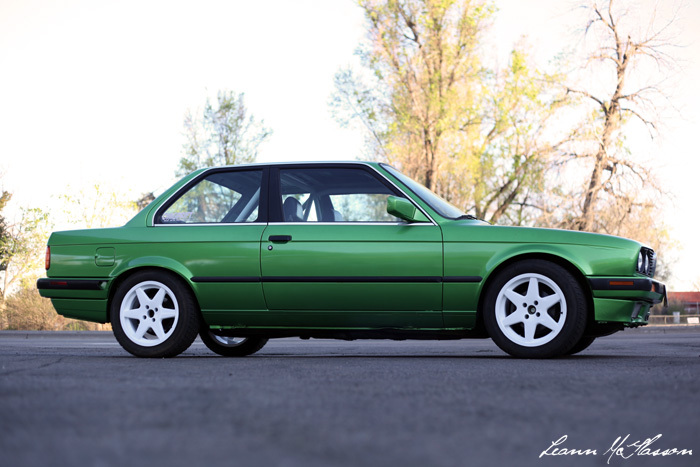 Wow, it’s been a long time since I’ve posted up about the E30. It’s been a long process, mostly because I was sidetracked with photography and paying off bills. This year, I’m more focused. The E30 is completely painted, recently painted the wheels white, and I just ordered coilovers that came in on Thursday. Also, these photos don’t do the awesome green color justice. Maybe the first one does but it’s one of those things you just have to see in person. Researching suspension took a while. I didn’t want to continue running struts and springs and was looking for actual coilovers but not many companies offered a whole lot of options for what I needed to run. Sure, there were sets out there that were for the street or light track use but that’s not what the E30 was built for. 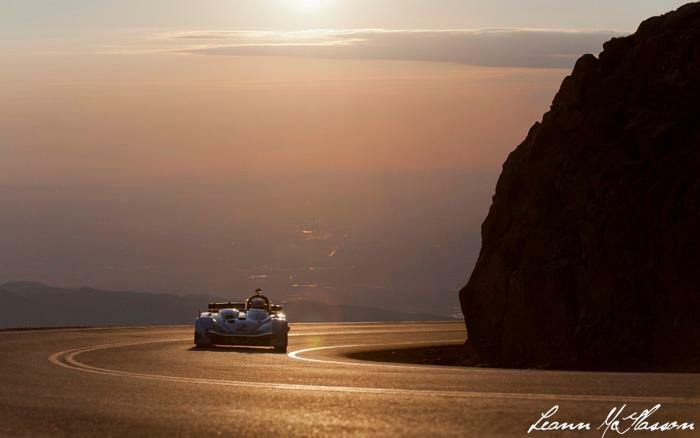 It’s strictly a track car and will see heavy use out there, so obviously those weren’t going to work out. A lot of the coilover options require modification too. In order to install the fronts, typically the company sends a new shock tube, then you’re supposed to cut the old tube, and weld the new one on to the spindle. Fun stuff. 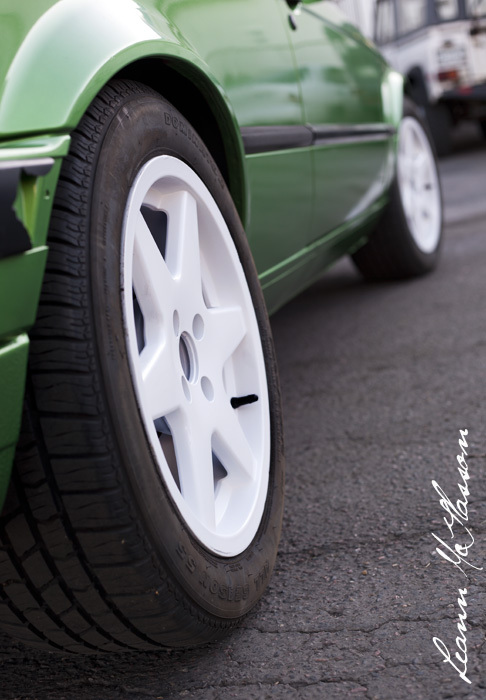 Also, the rear in E30s aren’t true coilovers. From there, I had to decide whether to keep it like that or convert to true coilovers which brought up other issues. If I were to run coilovers in the rear, I would need to reinforce the rear shock mounts. Confused? 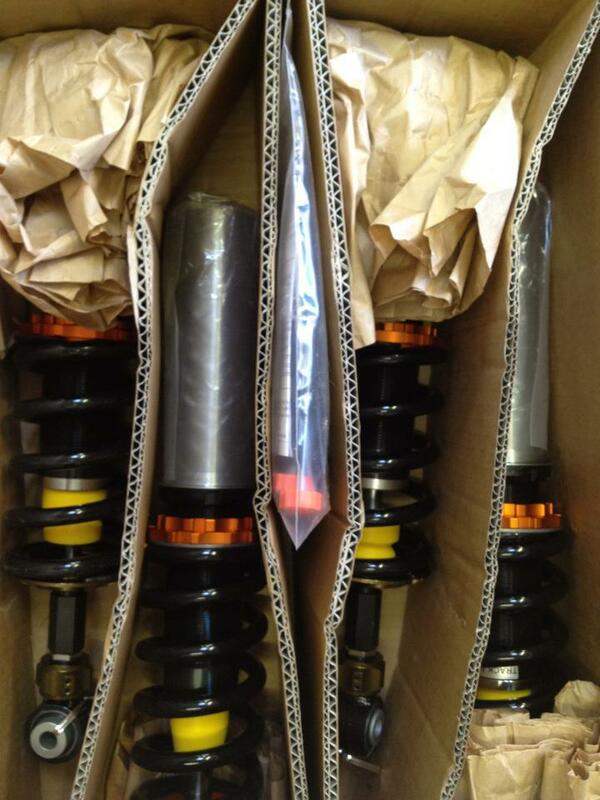 Well, converting to true coilovers causes a strain from the weight of the car and you need to spread out the load. Typically with shocks, most of the dampening forces are produced in rebound and not in compression. When in rebound, the shock will be pulling down on the tower. I know a lot of people don’t like the idea of making the rear true coilovers or think it’s stupid but to each their own. Anyway, I decided to go with the K-Sport Version RR’s. I had talked to Joacim Flatby Nielsen out in Norway about what he was running and these were the same ones he was using in his E30. He told me how the price was reasonable and that they worked really well so that helped me make a final decision. Plus, I had some help from Formula Drift driver Corey Hosford working with K-Sport to order these. I’m excited! Now I just need to have a friend weld the new shock tubes on the OEM spindle, have those powdercoated, buy some Z3 rear shock mounts for reinforcement, and I should be good to go! This is how the car sits now, the coilovers haven’t been installed yet. Formula Drift Round 1 Done! I’ve been meaning to write a blog post but in between getting back to reality at work, working on photos, and working on an article for OMGDrift, I haven’t had much time. I’ve been writing this little by little over the past week. I still feel like I need to catch up on sleep and it wasn’t even really that bad, I’m just being a baby about it. Needless to say, I’ve had a lot of caffeine in various forms of coffee drinks this week. I don’t think they’ve really helped but I keep drinking them anyway. 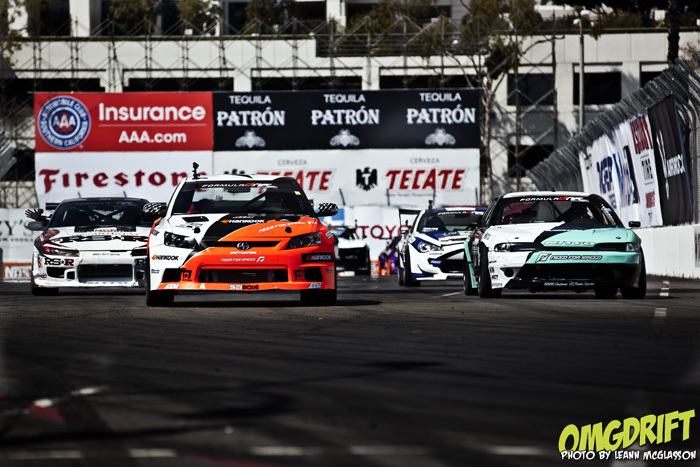 As usual, Formula Drift Round 1 in Long Beach was awesome. This time I had my boyfriend and our two friends with us. I’ll try not to ramble and give you brief highlights of the trip. If you’d like to read a quick overview of the entire event, you can do so here. In-N-Out. We ate it. Be jealous. Well, unless you don’t like it, then don’t be. I, personally, happen to enjoy it. I’m sad that Colorado doesn’t have one so anytime we’re out of state and they’re lucky enough, it’s pretty exciting. Venice Beach. Unfortunately our trip out there wasn’t the greatest. It was pretty windy and chilly so it was a little disappointing. I’m still glad we made it out there though because it’s a great place to people watch. Umami Burger. I thought I would love it but I more so just liked it. It’s not exactly somewhere I’d beg to go to for food but wouldn’t mind eating there. Roscoe’s Chicken & Waffles. I always hear about this place and had never eaten there. Finally, this time around we did and it was delicious. We almost went to the sketchy one near Compton and in Watts but didn’t. I was so hungry that night I told everyone we should just go there but they looked at me like I was crazy and passed it up. We ended up at the one in Long Beach, where everyone else from FD eats. The wait wasn’t so fun since that place is crazy busy but the food was so good. When we were out shooting at the track at the Long Beach Convention Center, I was off my game Friday. I’m not sure what it was but I wasn’t doing very well at panning and I didn’t have much motivation because I felt like my photos were sucking and they were. I was a little nervous that the next day was going to be the same and then after all was said and done, I’d come up with barely anything worth posting. Seeing as how I had finally crashed at 3AM in the morning on Saturday, I thought I’d probably end up being useless because I’d be so tired. Surprisingly, I wasn’t and when I was back out taking photos again, I felt more confident and was on point with panning. What a relief! My goal this year is to really improve in photography. Not just with motorsports but I’d really like to gain more experience in other areas such as portraiture. I love motorsports but I also love being able to capture the people behind the cars and the emotion. It’s something that I need to keep in mind throughout the year and at each event. Everybody captures those photos of the cars ripping the track or in the pits but I want to start focusing more on the drivers behind the wheel, the crew members for the teams, the fans; really just all the people that make this come together. If it wasn’t for the people, what would drifting be? Also just in general though, I want to expand into areas like senior photos, engagement/wedding photos, family photos, etc. Remember that video I posted of Larry Chen and Joe Ayala stuck at DFW Airport? The one they created and recorded their shenanigans because they were bored and wanted to have fun? Oh, and how SO many people kept thinking it was staged and fake? Well, like I said before and I’ll say it again, it’s real. In fact, their segment with MSNBC’s “Caught On Camera” just aired recently. Go ahead and take a looksie. It’s been awhile since Irwindale. I’m extremely glad I went and I totally would’ve regretted it if I hadn’t. You can check out the posts over at OMGDrift or just click here and read all about how I accidentally brought a loaded clip with me to the airport or how I had a ride along with Matt Powers and crashed. I’m super happy with my set from this round. I think it’s the best I’ve done so far. Anyhoo, I also just came back from Las Vegas for SEMA. Talk about a lot of walking. It felt like we walked for days. A lot of the same people were there that I always see at the Formula Drift events as well so it was nice to see people again. I was also excited to see the RWB cars. Love. My other favorite part was going to this awesome bar called Insert Coin(s). It’s filled with all of the old school arcade games as well as a bunch of TVs to play newer games on different consoles like the XBox and PS3. I’ll be making a post about that later. So really, just a brief update on things. I’ll have something more interesting soon. Round 7 for FD out at the Toyota Irwindale Speedway was awesome. I had a lot of fun and I’m quite pleased with the photos from this round. 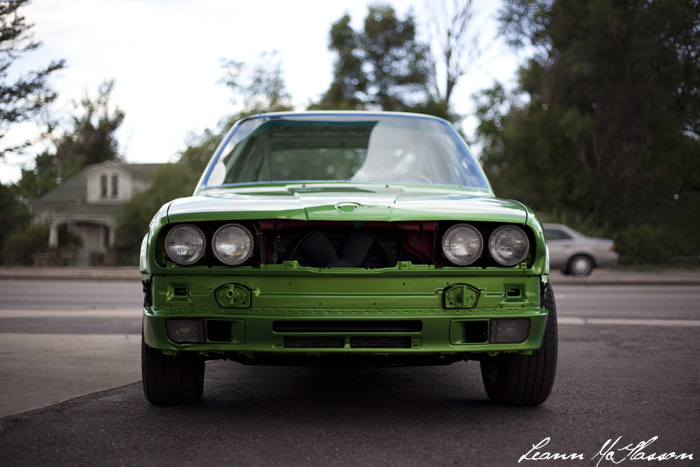 I’ll post some of them up soon but in the meantime, check out our coverage over at OMGDrift!